Primary sources are where histories come from. The stuff left over from the past that by accident or design has survived down to this day is the lifeblood of historical study. Sources are our direct (if not always reliable) witnesses to the events, people and processes of moments now long gone. The creative and self-aware use of the complexities of evidence often produces the best histories as historians read against the grain, contextualise, and dissect the stuff of the past to extract new meanings from it. In 2000, Ludmilla Jordanova wrote that ‘there has been a decline in (primary) source-based undergraduate teaching’, but in 2016 it certainly feels like the opposite is true. 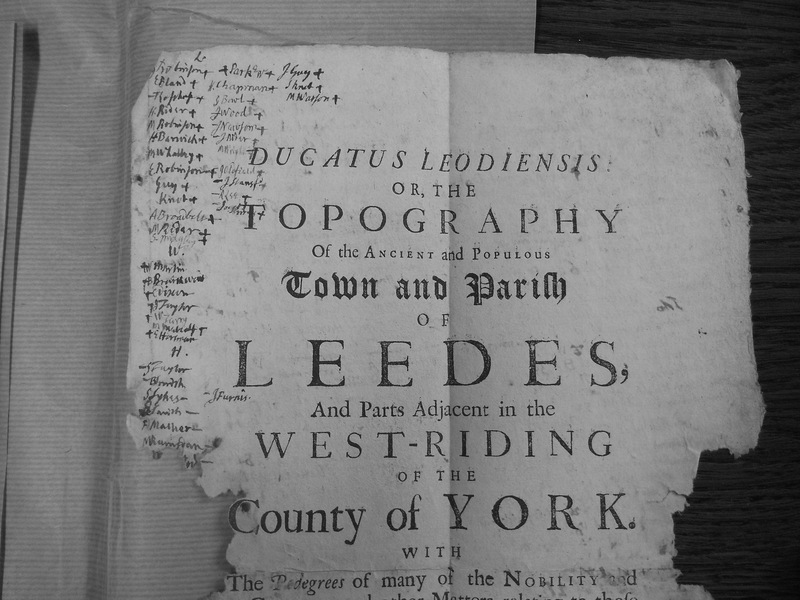 Partly thanks to the internet (although printed transcriptions remain a vital resource), primary sources have never been more available or accessible for university lecturers and their students. Given that history is to some extent defined by its methodology, it doesn’t make sense not to use primary materials with undergraduates – how else to teach the dynamic relationship between the sources, the historian and their history? How else to understand the vantage points that we can and can’t find on what happened in the past? Entire modules at my university are therefore based around exploring different ‘genres’ of primary material and assessing their strengths and weaknesses. Elsewhere students carry out individual research from the very outset of their degrees, and the final year dissertation, based on a solid collection of primary material, is a standard feature of many degree programmes. When Jonathan and I were approached by Routledge with the suggestion that we put together and edit a collection of essays that would serve as an introduction and guide to early modern primary sources, we therefore jumped at the chance. 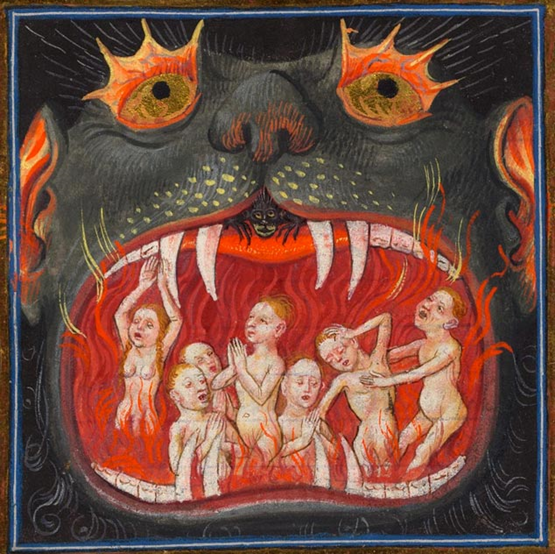 The volume has just been published, and to celebrate its launch we have written a little flurry of posts on sources – this introduction, and then one from each of the monster heads – so watch out for those over the next fortnight. The volume itself has fifteen chapters (contents in full listed at the end of this post), including one from each of the monster-heads as well as contributions from other leading scholars. Part I of the book, ‘Sources’, takes the reader through seven key categories of primary material. Each chapter addresses how different types of material were produced, whilst also pointing readers towards the most important and accessible physical and digital source collections. Part II, ‘Histories’, takes a thematic approach. Each chapter in this section explores the sources that are used to address major early modern themes, including political and popular cultures, the economy, science, religion, gender, warfare, and global exploration. For the early modern period, the primary materials from which histories are made are both numerous and diverse. This was an era when literacy levels were generally increasing, and as a result handwritten manuscript documents proliferated as never before. The State, the Church and the people all began to write things down on an unprecedented scale. The business of government produced reams of correspondence; law and Church courts generated depositions by their thousands; bishops penned reports on the condition of their dioceses; individual clergymen scribbled notes on their sermons; merchants recorded accounts of their fortunes; ordinary folk kept track of their experiences in commonplace books and diaries. After Johannes Gutenberg (c. 1398-1468) combined mechanical moveable type, a new oil-based ink, and a wooden hand press to create the printing press in the mid-fifteenth century, the new technology spread astonishingly quickly across Europe – there were perhaps 20 million books in circulation before 1500, but by the end of the sixteenth century this had increased to between 150 and 200 million. Though it represents only a small proportion of the original volume of early modern printed material, the variety of surviving printed sources is staggering. It includes scholarly works of history; treatises on religion, philosophy and literature; practical guides for legal and medical professionals; the writings of eminent reformers; innumerable editions of scripture; devotional aids; yearly almanacs; chapbooks, newsbooks and popular ‘cheap print’ such as pamphlets, ballads and broadsheets on a bewildering range of topics. Such printed material is also an indispensable primary source for historians. Though manuscript (and oral) culture remained vital to networks of early communication the proliferation of print meant that the distribution and accessibility of textual material increased enormously Europe-wide from the fifteenth century onwards. Indeed, when it comes to the question of how we define different historical periods, one suggestion is that the arrival of print in Western Europe might be a definitive watershed, since its presence means that historical methodology is forced to become distinctively ‘post-medieval’. 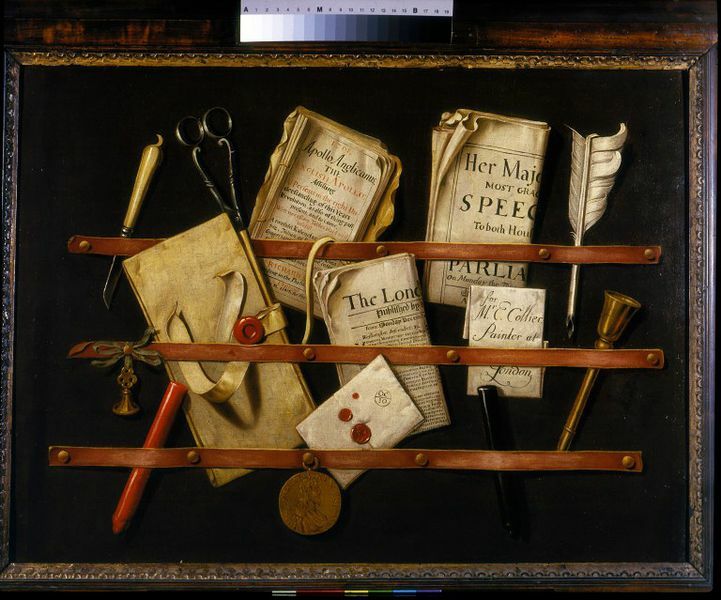 The ‘stuff ’ that survives from the early modern period includes a lot more than just written and printed texts though, since any physical remnant of the past is a primary source. 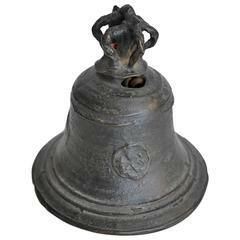 Surviving material culture is too various to list comprehsneively, but it includes ornaments, buildings, landscapes, clothes, furniture, dishes and drinking vessels, each a vital source of evidence about life in the past. Historians are becoming increasingly aware of the value of sources beyond texts, a process that is opening the discipline up to new approaches and encouraging a more rigorous engagement with objects as historical sources. Food and drink were the most central elements of a growing consumer culture that promoted the production of everyday objects on a bigger scale, catering for the expansion in the ‘middling sort’ of people with new tastes and more disposable income. Europe was also beginning to be further integrated with the wider world. Early modern people were increasingly exposed to a flood of information about the world beyond Europe. Travellers, merchants, missionaries and conquistadors encountered peoples and places in the Americas, Africa and Asia, and they wrote and published accounts of their experiences for audiences back home. Texts, maps, charts and globes help us to understand how contemporaries interpreted and perceived the societies they encountered, as well as the often devastating impact they were to have upon them. Alongside new horizons and landscapes, Europe rang with music of many sorts, produced by professional musicians, city waits, ballad singers, local players, bell ringers, alehouse fiddlers, parishioners and Psalm-singing sermon gadders. As with material culture, historians are just beginning to explore the aural soundscapes of early modern life, bringing a new dimension to our appreciation of the period. 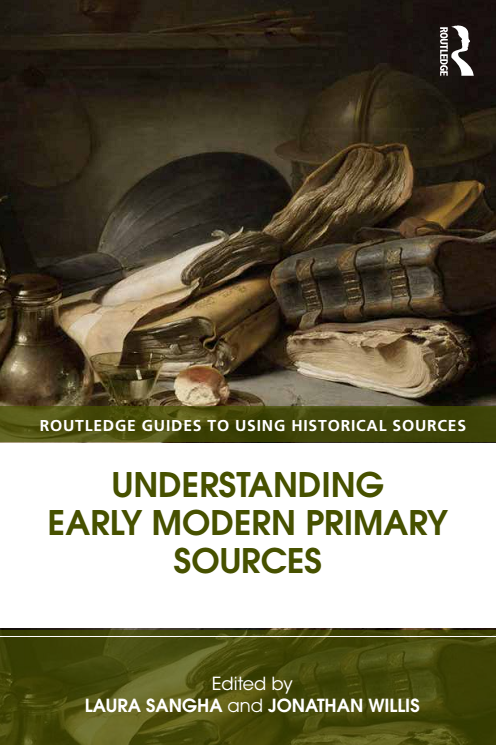 The volume serves as an introduction to this vast treasury of primary material, and we hope that undergraduates, postgraduates, supervisors and any other readers will find it to be a handy practical guide to the main types of early modern primary sources, where they can be found, and how they can be used. This entry was posted in Academia, History, Theory and methods and tagged hear ye! hear ye!, Madison Avenue, the craft by drsang. Bookmark the permalink.